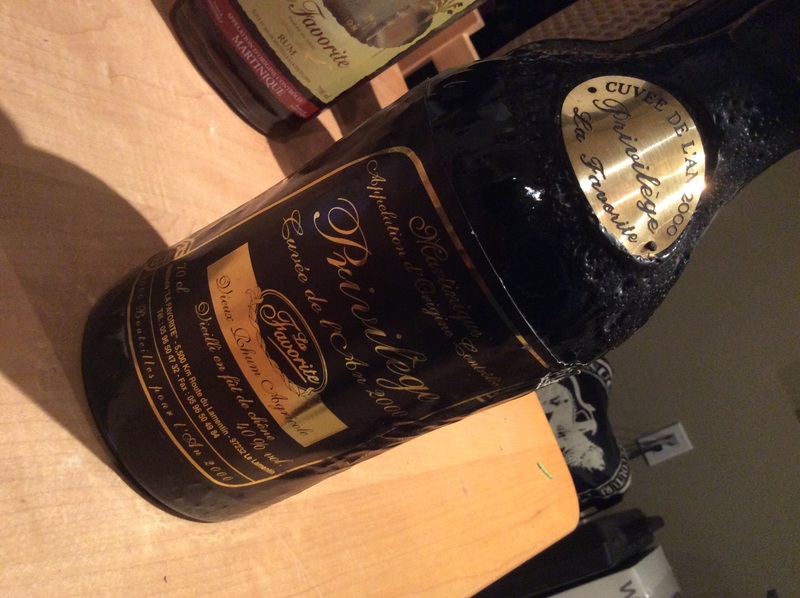 Have you found an online vendor selling La Favorite Cuvee Privilege 30-Year? Visited Martinique and went straight to the La Favorite distillery. What an amazing self guided experience. Cuvee Privilege 30y was bottled in honor of the owners grandfather passing. Very unique and sturdy bottle and label design. Spectacular Rhum Agricole flavors alongside grass, citrus fruits, oak, prunes, grapes and floral notes to the nose and palate followed by a very mild burn at the end. La Flibuste remains my favorite, but the Cuvee Privilege 30y is still an amazing piece of art. Had the opportunity to taste this at their old sampling room. It was more oaky and bitter than La Filibuste, but sharing the same complexity and distinctive burnt caramel, bagasse and wood aromas. Comparing with the 1991 La Filibuste, I would rate Cuvee Privilege a tad lower just because The not so smooth character of it. But they are both very high end rhums, which you have to taste to really know what the rhum heaven tastes like. Un rhum très équilibré, robuste, mais d'une grande finesse. Il mérite un 10, mais je garde le 10eme point pour le meilleur rhume que j aurai goûté quand je saurai que c'est celui la! Mais celui si s'en rapproche...quel équilibre ce rhum!!!! Trè bon rhum ! Beaucoup d'arome et une douceur en bouche parfaite.